Last week I blogged about the importance of a Mission Statement and how to create it if you didn’t have one. 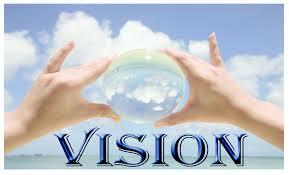 A Vision is equally important, yet many who have Mission Statement don’t have a Vision Statement. The reasons are many. Some are unaware that they should. Others don’t recognize the difference between the two. In addition, it is more difficult to write one, and the best ones can be intimidating. While a Mission defines your purpose in a powerful way designed to show why your program is indispensable to the educational community in general and student learning and achievement in particular, a Vision boldly proclaims where you want to go. It is not a statement of where you are. When well-done it can attract others who want to see it realized. If a Mission Statement represents your perspiration, what you do each day, a Vision is your inspiration and aspiration. It’s your secret hope and dream. No matter how far you are from achieving it, this is why you became a librarian, to provide the exemplary contribution which would result if and when the Vision is realized. To begin constructing one, close your eyes. Picture what the library program and facility would look like and feel like if you had all the resources and funds needed to make it come true. Think big. Jot down words and phrases describing what you envisioned. Is it welcoming? What makes it that way? How does it provide the framework for thinking, learning, creating, and sharing? What does the program deliver to meet the needs and wants of all stakeholders? Take those words and your mental image of this imagined future and turn it into one or more sentences. How long is your attempt? Ideally it’s a little over 25 words not counting “The Vision for the BLANK library program is.” You don’t want to go over 50 words. It makes it too hard to memorize. As with the Mission, print it out, “decorate” it if you choose, frame it, and hang in a prominent place in the library as a reminder to you and a message to all who enter. Here is an example: The Vision for our library program is to be a welcome, stimulating space where the latest in technology and resources, and the physical environment are vital to academic and personal learning guided by the librarian. Is it perfect? No. It doesn’t include a literacy component. “Developing lifelong readers” is probably in your Mission Statement. Whether or not you want to include literacy, or want something else in your statement, the choice is yours. This is your Vision. You want it to reflect your ideal situation. The only requirement is that it be big. Does the sample Vision scare you? It is only 27 words but it would seem unreachable for most. That’s the point. Don’t think it will never happen. 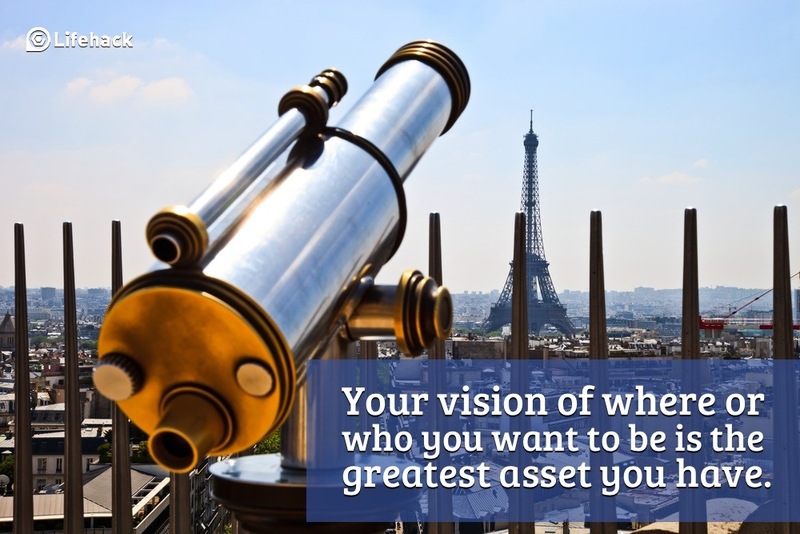 Remember Vision is about inspiration and aspiration. If you don’t have a goal or target, you won’t ever get there. Leaders are visionary. Their compelling vision is what draws others to them. Read the example again. Would your teachers want the library program to be this way? Would your administrators? What about parents who might drop in? When you put something this big out there for all to see, you never know what will happen. Post the Vision Statements you create as a comment here. I am happy to offer suggestions to help you make it as strong as possible.